Under the circumstance, what the user need is a video cutter for Mac, which is decent and can keep desired portion left. Hence, in this review, we are going to show 5 best Mac video editing software, intending to give you a hand to get rid of needless sections without sacrificing quality. Excellent as Joyoshare Video Cutter for Mac is, it can simplify the video trimming process and enhance the cutting accuracy on Mac. By means of this trustworthy video splitter, you can leave out unwanted segments at up to 60X faster speed. Most essentially, there is no any quality loss as Joyoshare Media Cutter carry out trimming assignment without re-encoding the required video file. Besides, it also facilitates you to customize the quality, format, codec and size at your own will. With the exception of auto-playing video for you, this tool provides well-designed timeline and controller as well. Hence, you can select precise cutting area effortlessly. Any video file can be saved as common format or popular device, like MP4, M4V, MKV, MOV, WMV, AVI, ASF, OGV, FLV, SWF, HD, or iPhone, iPad, game console, smart TVs, etc. To satisfy more users, Joyoshare Media Cutter is capable of extracting audio from video with ease. Certainly, it can also be utilized to combine different sections into a new one. As a well-known video splitter, Wondershare Filmora for Mac is able to cut and trim large video files exactly. It provides you with a large wide of video effects and transitions, which are accessible with a simple drag & drop interface. If you'd like to create a professional-looking video file, you can try it on your Mac. Wondershare Filmora for Mac comes with some splendid video effect, such as filters, overlays, green screen, titles, etc. 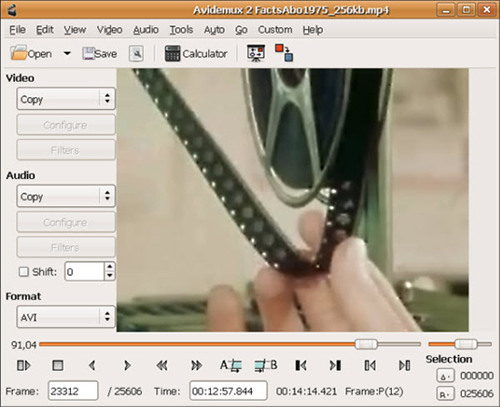 It supports almost all types of video formats, for instance, MP4, AVI, MOV, MKV, etc. You can also make your video footage look like Hollywood film with color tuning tool. However, only when you pay for it can you use the advanced video editing features, like Tilt Shift, Mosaic, Face off, Jump Cut and so on. 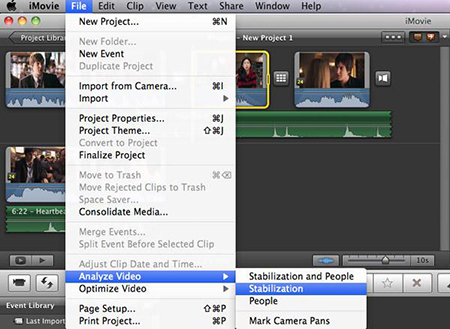 Apple's own video editing software, iMovie, is an ideal choice for you to manage your video files on Mac. You don't have to pay extra money for it as long as you buy a new Mac. At the same time, it gives you freedom of browsing for your video files easily from the computer. There are multiple functions available, including movie trailer, audio editing, one step effect, video enhancing, color correction, etc. Apart from new beginners, iMovie is designed for home and small business users who don't expect complex and full-featured program for editing videos. With few steps, you are allowed to share the finished videos to YouTube or produce them to your iPhone, iPad, etc. Permit color correction, movie trailer, audio editing, etc. Share videos to YouTube or output them to iPhone, iPad, etc. Avidemux is another fairly good option for you. It comes with broad compatibility, which can work well with Mac OS X, Microsoft Windows, Linux and BSD. Providing practical filters, this handy tool has access to remove unexpected noise and other irritants from original video. Moreover, it can support diverse formats, such as MP4, AVI, WMV, DVD, ASF and AAC. 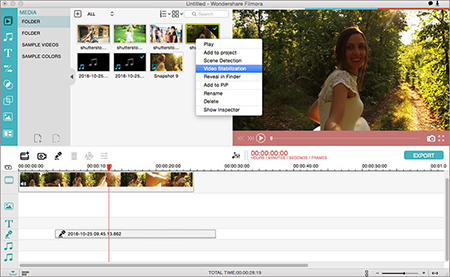 If you are a newbie, you will feel glad to know this complete video editing software for Mac. There is no need for you to manage your videos at every step by referring to a mass of tutorials. More importantly, the imported video can be automated by using projects, scripting capability and job queue. However, you should keep in mind that there is no way for you to transcode the AVI format to MPEG format as SD card to be shown in TV. Similar to Avidemux, Blender offers powerful ability to deal with numerous video files not only on Mac, but also on Microsoft Windows, GNU/Linux and BSD. 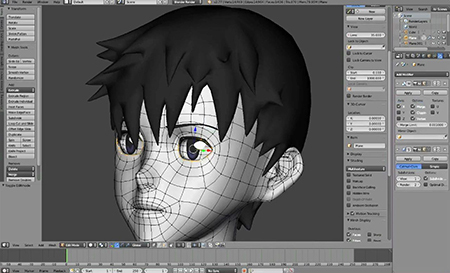 It can be used to create animated films, 3D printed models, engineering simulations, video games, visual effects, etc. Alternatively, Blender is well developed with a series of thoughtful designs, for example, rendering, skinning, texturing, animating, water, non-linear editing, UV unwrapping, compositing, camera tracking, matching moving, and so forth. Anyway, this functional video cutter can fit for the special needs of handling sophisticated editing tasks. If you are longing to pick up the best video editing software for mac, you are supposed to evaluate it from different aspects, like operating interface, cutting features, icons design, post-processing, etc. Frankly speaking, there is no fixed answer. Everything depends on your actual requirements. If you want to crop video on mac with forthright method, iMovie can be your top priority. If you prefer to top-leading editing features, Blender is competitive enough for you. However, supposing you put quality on the core position, you cannot miss Joyoshare Media Cutter for Mac. Best Audio Cutter for Mac? Look Here!